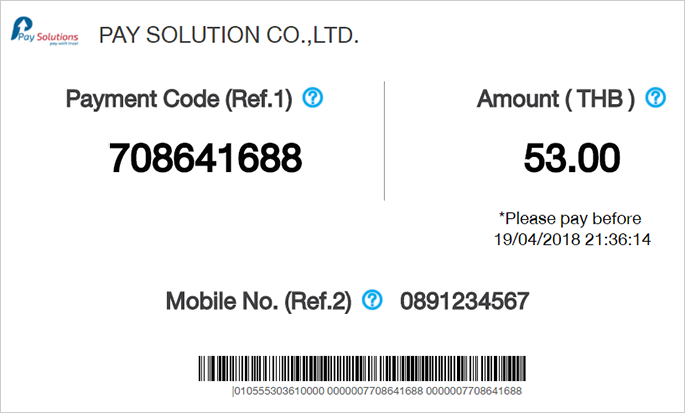 You can refill via PaySolution. It supports many payment channels. Family Mart, Big C, Lotus and Online Banking to buy ours product, which charges 4.0% and fee per channel. 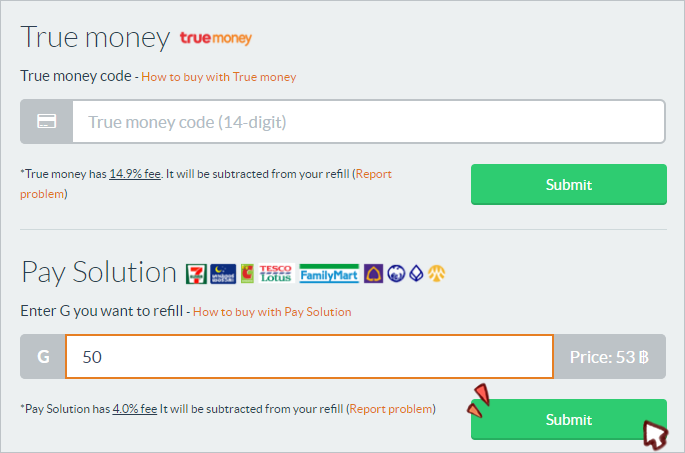 2) Specify the amount of G in Paysbuy, then press the "Submit". 3) Choose form of payment. In this example, select the "Bill Payment > Other Bill" and fill out the form on the right. 4) The system will created the invoice for you. This can lead to immediate payment. 5) When received G cash, You can buy products immediately.